Join Gaudete on May 19, 2019 at 7 pm for a special sacred music offering of the Son of God Mass by James Whitbourn. This beautiful concert version of Whitbourn’s mass setting features the choir, organist Kris Wittry, and soprano saxophone soloist Lynn Baker. This contemplative piece is reminiscent of plain chant and shifts through celebratory and meditative elements. With equal emphasis among the instrumentalists and singers, the mass invites the listener into an intimate conversation between the choir and saxophone. As Gaudete’s final offering for the 2018-2019 season, this piece will stay with you throughout the summer until the choir returns in October. Directed by David Bell, Gaudete performs at the Althea Center for Engaged Spirituality, 1400 Williams Street, in Denver. We present short, uplifting offerings of sacred music without the church, generally once per month between October and May. There is no admission fee; your free-will offering is always gratefully accepted and goes to support our programming. Learn more about us at gaudetesingers.org, and stay tuned for our 2019-2020 season announcement! 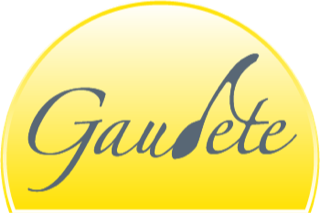 Gaudete is a 501(c)(3), non-profit organization. Posted in Event listing and tagged as featured.